He and his family were on my caseload. He was on my mind. He had previously been a “looked-after child” [in foster care] and was now at risk for becoming one again. The boy was displaying several behavioural problems—increasingly becoming involved in gangs and drugs. He had been stabbed, and his whole family was concerned about his safety and well-being. His stepfather was isolating him from other family members, and the parents were constantly arguing. As a qualified social worker in the U.K., I was looking for a programme that would help this young person remain in his home and be safe in his community. Something that would give him and his family the tools and resources they needed to independently address any further difficulties that arose. I knew it had to be something intensive. This I found was achievable through the support and the model of MST. I referred this case to the MST program with the hopes of that the clinician would support the family, enabling them to develop skills to challenge and support their son, breaking the cycle of anti-social behaviours. The programme was a success—just what this family needed. Some of the key elements of MST that I think created and maintained changes were the ongoing telephone contact provided to the family with advice and guidance. This minimized the family’s anxiety and prevented escalations of previous negative and reactive behaviours. What impressed me so much about MST? The way the clinician helped the family work together to achieve mutual agreed-upon goals. The support the MST clinician gave to help the young person develop skills he needed to cope with his family, peer, school and community problems. One of the keys to this was teaching him to challenge his cognitions and skill building to enable him to make better decisions. 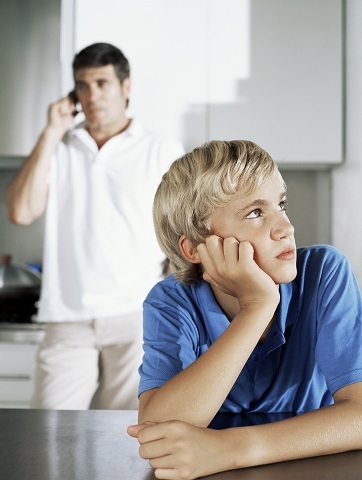 I saw an improvement in the parental discipline practices as they were supported to come together to decrease his association with anti-social peers by increasing his vocational opportunities. The family was able to identify and use an informal social support network. These supports have been essential in helping this family maintain long-term sustainability post-MST. The MST programme empowered this family to be confident in the changes that they were making, reinforcing each step of progress and helping them recognize the journey of change that was taking place for them. As I looked over my life, I too had been a “looked-after child.” Though things turned out all right for me, I wonder where I might have been if programme like MST had been in place for me and my family. Tracey D. is a social worker in the United Kingdom. To learn more about how MST can impact an entire family, download this white paper.